TeacherDance: Some Treasures This Week! It's Monday! What are you Reading? is hosted by Jen and Kellee at TEACH.MENTOR.TEXTS. Head over for some awesome book reviews! And, also visit Sheila at BOOK JOURNEYS that offers more reviews of all kinds of books, adult and children. It's Monday! What are you Reading? is hosted by Jen and Kellee at TEACH.MENTOR.TEXTS. 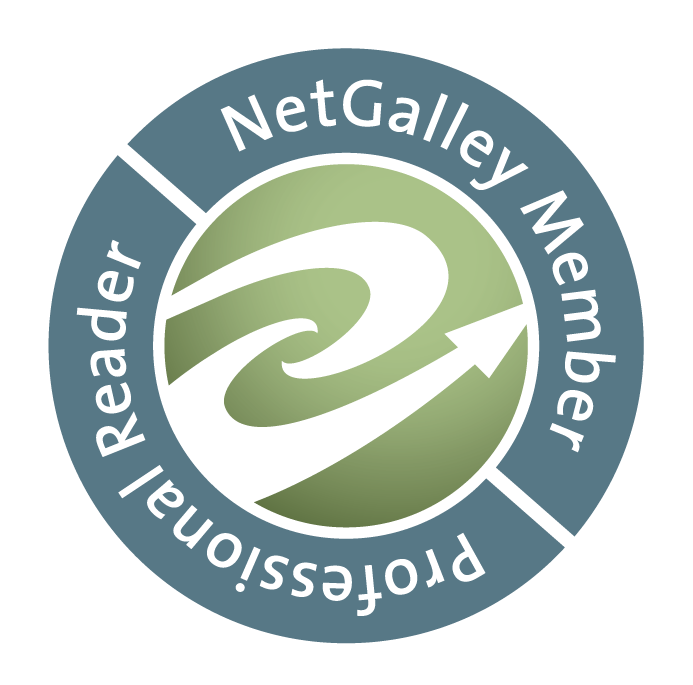 Head over for terrific book reviews! And, also visit Sheila at BOOK JOURNEYS that offers more reviews of all kinds of books, adult and children. I’m so envious of Steve Jenkin’s collage talents. The illustrations amaze. When examining the details, I always want to see his studio, with the unimaginable patterned and textured papers he must have. 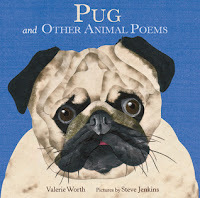 This book of 18 of Valerie Worth’s poems both informs and entertains. 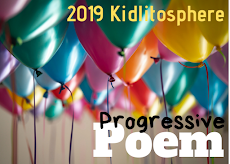 From learning of the MIA life of a fox to the interesting “home” of a toad Steve Jenkins, each of the poems show that Worth certainly knew what she was writing about. Having numerous rabbits in my new garden, a favorite is the poem titled “Rabbits.” In it, Worth. She speaks of rabbits staying ‘along the/Grassy fringe/ unhastily, in peaceful thought, it seeks. I realize many have read this book, so for those you haven’t, please check it out. It’s a perfect example of the creative way to use non-fiction research. 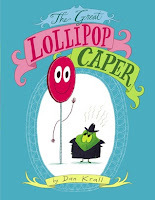 I won this book, The Great Lollipop Caper, written and illustrated by Dan Krall, and am so happy I did! Who would have ever imagined that capers could become a great storyline, but in this book, they are. After figuring out that lollipops seem to be loved by children the world over, Mr. Caper want in on the action too, because he feels so ignored. The “lollipop caper” plan is hatched, but the plans unfortunately do not turn out as expected. The illustrations are funny, cartoon-like with speech bubbles and outrageous expressions that must make the audience giggle and giggle. I can’t wait to read this to a class of younger children in the fall to see their reactions. It will also begin a good discussion for the start of the year about feelings and solving problems in positive ways. All Bear wants is to be left alone, he thinks, until the mouse keeps turning up in such unlikely places, just for a cup of tea and a bit of cheese. 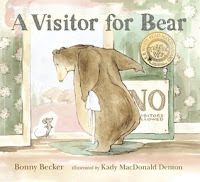 Each page shows a new way that mouse insists he visit, and another way for Bear to declare HE.WANTS.NO.VISITORS! The words delight with the various ways to say “no”, and Bear’s expressions in the illustrations make you hoot with laughter. Poor Bear, who finally decided some things about his life a bit differently in this story, and you’ll need to read it to find out how. Much fun! This reminds me so much of my life now. My 4-year-old granddaughter keeps asking how my “old” house is. Although I am only a half block from a park now, my former home was right on a park, and she grew up having such fun there and at the playground. This book mirrors that story when another little girl, Theo’s Poppa moved to an apartment and they could no longer talk about all the flowers grown there. 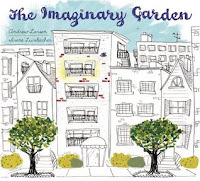 This wonderful grandfather figures out something to take that garden’s place, thus the “imaginary” garden. I think I’d rather not reveal what his idea is, but it is a good and satisfying one. The illustrations fill the pages with flowers, flowers, and more of nature’s beauty, even offering a few drawing lessons as the story develops. It’s a lovely story. A young girl appears to be showing her feelings in an honest way showing all the fun things she does “when no one is watching”, yet shrinking back into her shell, becoming as invisible as possible when others are around. It’s a different look at a child who really seems so shy and has such a challenge in a group, but when it’s just one good friend, that’s a different story! The illustrations show off the girl in a beautiful way, with actions appropriate to whether being watched, or not. It’s such an interesting story and I imagine will connect to some children very much. important conversations each week for a long while? Following the eternal question asked in the Tao Te Ching, How can we bring peace to the world?, Halperin adds to that question by adding answers like ‘for there to be peace in the world, there must be peace in nations’, and then ‘peace in cities, neighborhoods, and on, until she arrives at our hearts. This is an important book, each page filled with beautiful quotes that are then illustrated in some special way. For example, with the quote, “Today more than ever before, life must be characterized by a sense of universal responsibility, not only nation to nation, human to human, but human to other forms of life.” The illustration shows farm animals. One quote that spoke to me as a teacher is “There is no trust more sacred than the one the world holds with children.” Kofi A. Annan. Everyone should own this book! 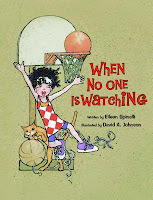 The book won the General Mills Spoonful of Stories contest and was published last year. Have you ever “lost” a helium-filled balloon and imagined where it might end up? That is what a young girl names “Molly O-Doon dreams about. Through poetic text, the story of the balloon traveling is told, finally ending up… Sorry I won’t tell. 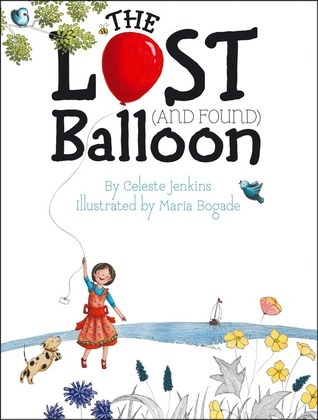 The illustrations are sweet especially when it’s night and the balloon travels across moonlit water. Next - Still reading The Center of Everything, but I do like it and am about halfway through. I'm on my way to the All-Write Summer Institute this week, so suppose I will be immersed in words in many ways, but not sure what I'll read next. I hope to get started really reading Opening Minds by Peter H. Johnston. I participated in a workshop with him last Thursday and read parts throughout the day. What a terrific time we had! I've got to get my hands on the Pug book. I love Steve Jenkins! Thanks Holly! Jenkins is wonderful-so true! 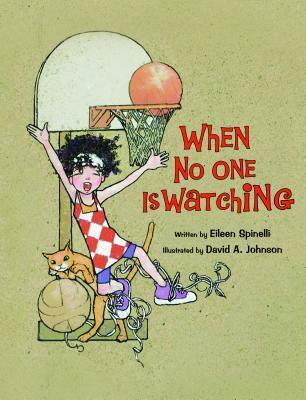 I've got to read "When No One is Watching". I think I know that girl. It will fit 'certain' people for sure. I'm sorry it seems to connect just to girls, but guess it could be discussed in a general way too, Donna. I liked it! Yep-Pug is delightful-great to see Worth's poems in a new setting, too! The Lollipop Caper is funny, and a little serious where it needs to be! Thanks Nicole! What a great collection of books! I LOVED Peace. It's going to be in a CL article I write about studying the shape of texts! Have fun at All Write! Tell everyone I say hello!! Isn't it wonderful! I hope you'll share your article! I thought you might be at All Write. I'm so excited to go-the first time! Thanks Mary Lee. 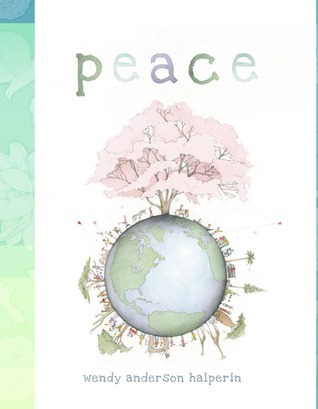 Peace is such a special book. A title to spend many rereads with. I am looking forward to sharing it with a class. I LOVE The Imaginary Garden. Last year, this book inspired some amazing art projects in my room! I read this book this year too. Just love it. The project is here if you want to take a peek: http://thereisabookforthat.com/2012/05/10/we-imagined-some-gardens/ I have a real thing for books that explore the relationships between generations. The Hello Goodbye Window is one of my favourites! I have the Hello/Goodbye Window, & now, in my new home, I have a window where I can see my granddaughters coming to visit. I read the book to the 4 year old now! I'll look at your project. I thought the book was very special. Along with the 'whale' book, my next two purchases, Carrie! Thanks! Hi there dearest Linda, so many great things here in this post! And all of them I haven't read yet! The one on Peace caught my eye. I've been aching for us to have a theme devoted to 'war and peace' in children's literature. Or they could be separate themes too, but so many possibilities. And the book cover looks nice too. 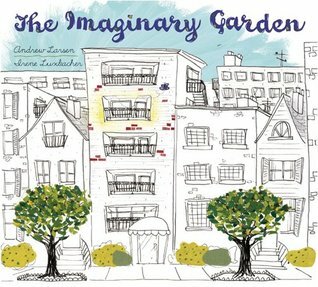 The Imaginary Garden sounds like something I'd enjoy, and how adorable is "Pug" indeed. I borrowed A Visitor for Bear from our library a long time ago but didn't have a chance to read through it, sadly. Will find it again, thanks to your beautiful review and recommendation. :) Hope you're having a less stressful week, Linda! Thanks Myra-so glad there are some books you will enjoy! Peace is absolutely a beautiful book. Please find and look! The theme of war and peace would definitely be interesting, wouldn't it? Hope you are doing well, too! Thanks! Finding The Right Word for All Write! Good Books Even at Home! Summer Time - #Cyber PD Time!